Day 3 of the 12 Days of Cookies extravaganza thing, and I’m still doing crispy cookies. It wasn’t intentional, just kind of happened that way. These particular cookies caught my eye because of the beautiful designs. 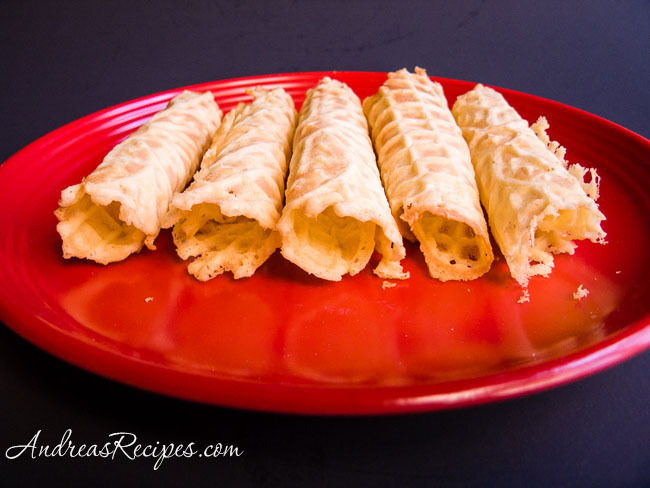 Gourmet says these Scandinavian inspired krumkake were originally made with an iron held over a hot stove, but they used a pizzelle maker and got wonderful results, and immediately I knew I needed to break out our pizzelle maker. 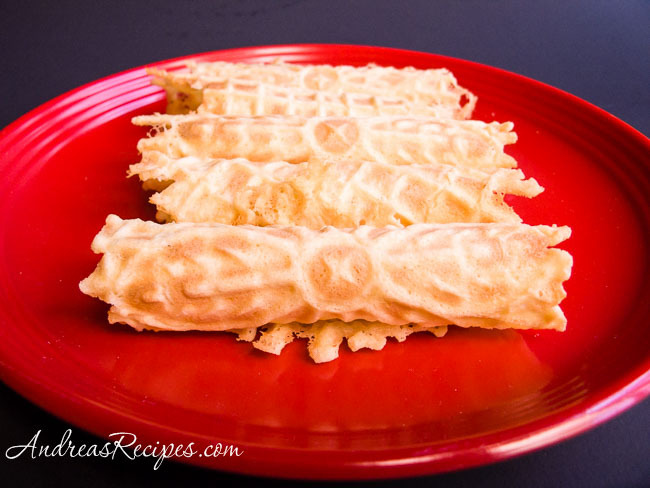 This recipe is lighter than Italian pizzelles and has no leavening like many of the pizzelle recipes I’ve seen, and they turn out perfectly crisp and light. 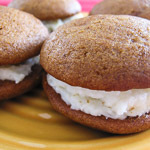 These would be tasty filled with a little citrus scented whipped cream, though I don’t think my hips could take it. All my boys, Michael included, were so excited when I made these and have enjoyed them immensely. If you have a cone roller, these would make fun ice cream cones or you could press them into a muffin tin and make ice cream bowls. I will certainly make these again, and I envision flavoring them with lemon or orange zest or even making a chocolate version. Add the cold water, cooled butter, vanilla, and flour. Mix on low until the batter is smooth. Pour 1 tablespoon of the batter onto the heated pizzelle maker and close the top. Cook according to the manufacturer’s directions, usually 30-60 seconds. Gently lift with a fork or silicone spatula and roll. Allow to cool on a wire rack. 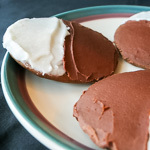 Store in a tin, not airtight, away from other cookies. They need exposure to air to stay crispy. I was eyeing these but didnt have the equipment.So Im doing the brandy snaps later. I love the idea of thin crispy cookies. They are so delactable. I could serve these up with some ice creams, shakes, or puddings. Andrea, this are lovely. I think using them to make ice cream bowls is a terrific idea!! These are so lovely — alas, I do not have a pizelle maker or one of those cone thingys. Maybe Santa will bring me some new kitchen gadgets, because you’re right — these would be even more amazing stuffed with fattening creamy things, and dipped in chocolate, of course. Beautiful job on these curled wafers! OOh, what a fun spin on the traditional pizzelle. 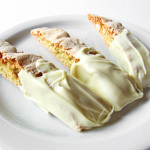 My grandmother used to roll them in her hands when they were warm and surprise us by filling them with cooked cream like a cannoli. I love them with ice cream too! Thanks for bringing back such happy memories! Is there an eggless version for this? Will look up myself too, but if you do have one, I would love to try it! Thanks for the ideas – ice cream cone with these crispy biscuits should taste fantastic! These look so good – I love the creative spin on traditional pizelles. These look absolutely beautiful! You’re so brave to be doing 12 days of cookies with everything else you’ve got going on! These look terrific and I would love to try. Hi Tashian. Thanks very much for catching my typos. I looked up the original recipe and corrected my metric conversions.